Michael “The Train Man” Lavrich returns to the Downtown Bend Library on December 20 to share his extensive collection of model trains. 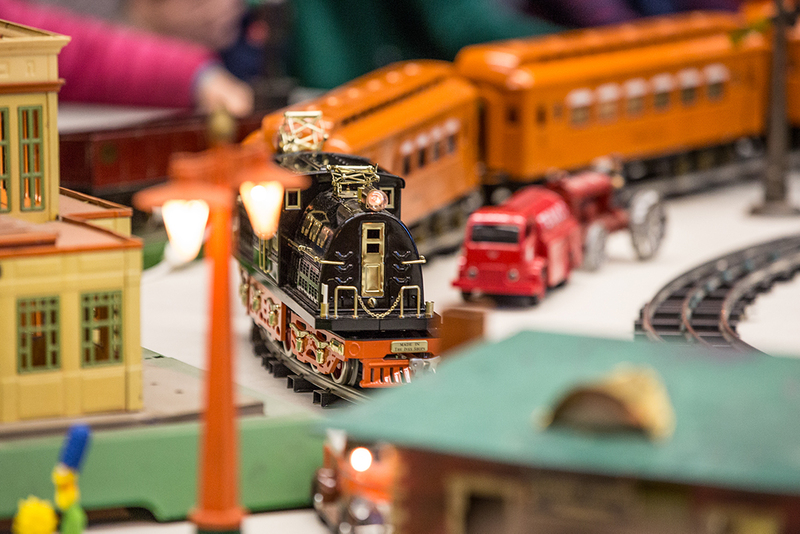 This marks Lavrich’s nineteenth year displaying his trains at the library, meaning children who first watched the trains run almost 20 years ago may now have children of their own with whom they share this family tradition. People can watch the days of set-up condensed into a quick time-lapse video on the library’s YouTube channel (www.youtube.com/deschuteslibrary). Lavrich generously donates his time and collection to this beloved annual event. December 20, 21: 10:00 a.m.–1:00 p.m.; 3:00­–6:00 p.m.
December 22, 23: noon–5:00 p.m.
December 27, 28: 10:00 a.m.–1:00 p.m.; 3:00–6:00 p.m.